As kids, many of us grew up, and waited for Santa to come and deliver us gifts under the tree. However, as we got older this mystery has dissipated and become the drudgery of dealing with the chaos that ensues during every holiday season. On social media, we see the obligatory posts about stores putting the Christmas stuff out earlier and earlier each year. All the more seeing our Christmas slip into a commercialized blob at the end of each year. When we have children, or new little ones enter our lives this spark is renewed, as some of us get to play Santa to our children. However, eventually they too, lose the Spirit and are more concerned about how many gifts they receive and the smiles are harder to come by, because commercialism becomes king in their Christmas. The problem we encounter is the fact that we chase those smiles. We want our children to be in awe and believe, and we think the best way to do that is to make sure we make sure those lists are fulfilled. Unfortunately, this would be a never ending process, because each year would be more, and the smiles get smaller, no matter what we try. 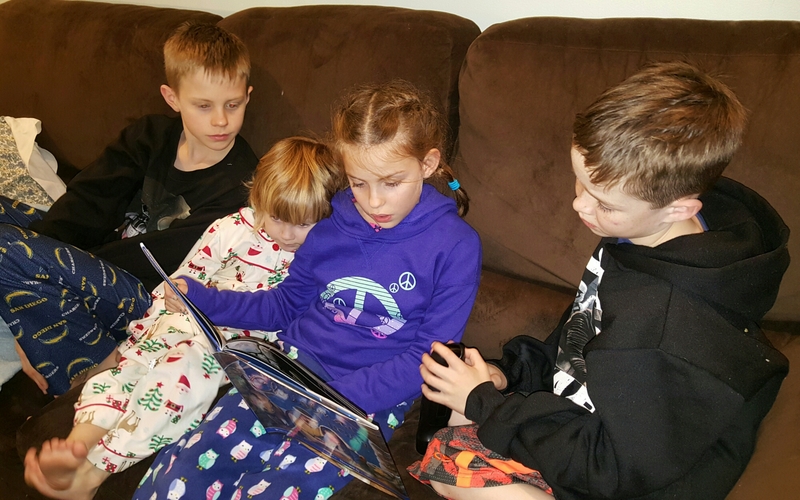 Last night, my daughter surprised me, because she showed me that the mystery of Christmas is alive, when she was reading the story about Jesus’ birth to her siblings, and they were all enraptured at the story of God’s perfect gift. I was reminded that giving is not about chasing smiles, but about reflecting God’s love shown to us in the free gift of GRACE. This reflection is not about chasing, but about loving, and blessing those we encounter. This is the mystery of Grace and the true mystery of Christmas promoting giving freely to those we encounter, and doing so without wanting any credit, but rather giving others the joy that God has given us through the gift of Christ.